Coffee & Grace: Proud of You Two! 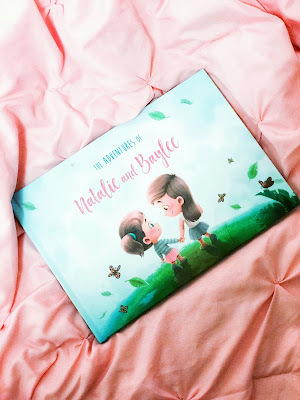 I have been looking in to all of the adorable personalized books that are out there ever since Baylee was a baby, but I never quite found one that was perfect enough. 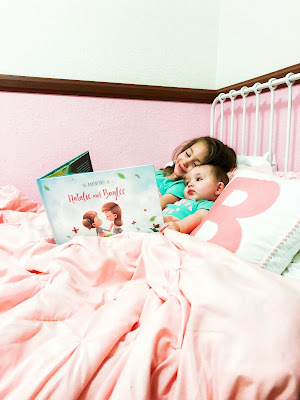 Then, recently, I found a company called Hooray Heroes, and I just knew we had to have the siblings book that they personalize! 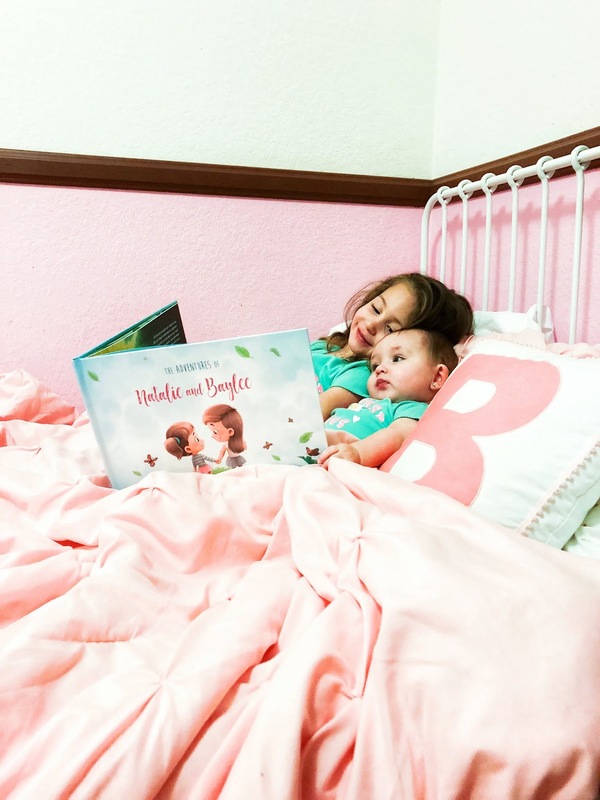 As soon as we got our book, "The Adventures of Natalie & Baylee", I knew that it was something the girls would cherish for the rest of their lives! Making the book was half the fun! I was able to design each of the girls (I made it so that Natalie looked like a toddler and Baylee like a big kid so they can grow with it!) and then I picked and chose from a bunch of "stories" to completely make the book our own. Once everything was chosen, I was able to add a sweet message to go inside the front cover, so that they can always know that the book was a special gift from their Mama who loves them so! The stories inside the book are all hypothetical adventures starring my two beauties with me as the narrator. It goes over many adventures that we can take one day including things like going to the beach, climbing trees in the forest, and star gazing. Each one has an underlying theme regarding how important it is for siblings to help each other and be each other's very best friend. There are sweet moments and giggles all along the way. 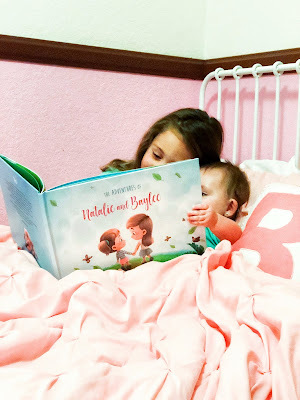 Baylee and I had the best time reading each adventure, and I know Natalie will love it just as much when she's older! We took it slow and read 2-3 adventures each night so that we could talk about each one and point out what we saw in the pictures. Baylee loved that it depicted Natalie a little older than she is right now (already walking and talking), and now she is even more excited for sissy to get bigger! I can't even begin to explain the way these sweet sisters warm my heart! I am so very proud of both of them; Natalie for being so sweet and smart, and just an all around joy, and Baylee for being the best big sister, a wonderful daughter, and a strong girl with a heart of gold. It is so great to have this book as a way to time capsule this ever fleeting season. 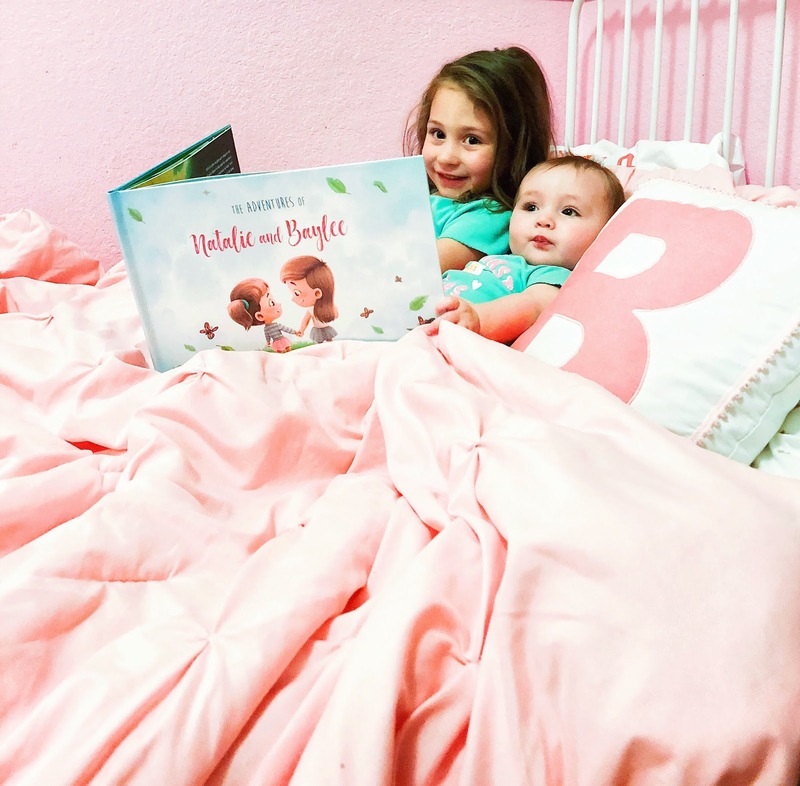 They won't be little forever, and one day they will be even more grown up than the book depicts them, so I will forever cherish it for capturing this precious and innocent time of their lives.